Some of the women mentioned in information against Silvan Shalom deny allegations, others won't file complaints. Attorney General Yehuda Weinstein is about to announce that he is ending the investigation against Minister Silvan Shalom, who allegedly behaved improperly with one or more female employees. The Head of the Police's Department of Investigations has informed the Justice Department that the police did all it could “to look into the information and to weigh the chances that it would ripen into acceptable evidence.” Investigative and intelligence work was put into locating women about whom there were allegations, and those who were located were then approached. At the end of the day, some of the allegations were denied, some of the women could not be located and others refused to file complaints. The event described by the woman who spoke about Shalom with police is covered by the statute of limitations and Shalom cannot be put on trial for it. The State Attorney's Office recommended, therefore, that the investigation be halted. 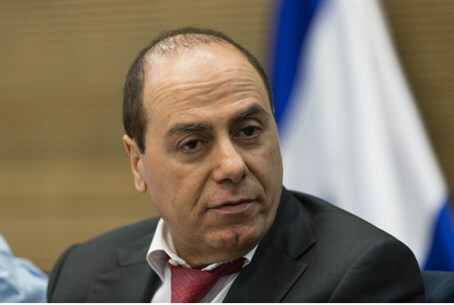 Many analysts believe that the allegations were brought up by political rivals, in order to preclude the possibility that Shalom would be elected President after Shimon Peres leaves office, a few weeks hence. They may have worked, because chances that Shalom will announce his candidacy for the position appear low at present.